Telling a story has always been an important element of brand building but sadly too many CEOs have left it to advertising agencies and creative campaigns to try and tell their story. This model is flawed because it nearly always focuses more on creativity than content. It is also flawed because few brands have the deep pockets required to sustain such a creative campaign. And the limitations of traditional media mean that it is extremely expensive to try and build a brand this way. And, if the truth be told, too many advertising agencies are often more interested in the next design award than they are on delivering good quality content. Social Media gives brands the platform and reach they have always wanted, without the costs. Moreover, the increasing importance and influence of social media means that the ability to tell a story and share that story and encourage the sharing of that story further across the ecosystem is now so critically important to an organisation that it no longer needs to be left in the hands of advertising agencies. This infographic from NCM Fathom maps out nicely what you need to include, what channels to use, why you need to develop stories and the benefits of doing so. Interesting blog. 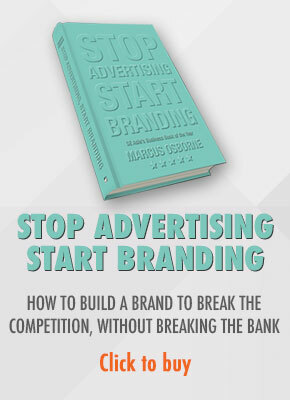 Couple of great insights listed about branding. 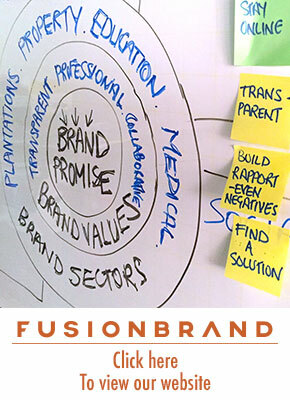 I have seen a lot of businesses fail due to weak and incomplete brand strategy. Brands are all about building trust. Brand image is like a white glove – the gloves get dirty fast once they are in a polluted environment. Infographic is a lot beneficial. My insights about branding. A must-read for start-up CEOs. Thanks for dropping by and for commenting and sharing your blog. Sadly too many brands don’t even have a strategy, preferring instead a series of tactical initiatives as a substitute. I think trust is a given now. In fact it’s a commodity. What consumers want now is economic, experiential and emotional value and on their terms. And to be included, in some way. If they don’t get it, there are plenty of alternatives. Your thoughts are right on the spot! Thanks for dropping by and your positive support!